As the Iraqi Federal Government is due to discuss the Federal 2018 Budget Bill today, the Kurdistan Regional Government Council of Ministers, in a statement, once again requested the Iraqi government not to approve the federal Bill that was prepared by the Iraqi Ministry of Finance without the participation of the Kurdistan Region. 1. The federal 2018 Draft Budget was prepared without the participation of the Kurdistan Regional Government, and without heeding the Constitution and federal laws. The draft budget ignores the Kurdistan Region as “an entity” and replaced the term “Kurdistan Region – Iraq” with “the Governorates of Northern Iraq”, replaced “Kurdistan Regional Government” with “Government of the Governorates”, replaced “Kurdistan Region’s Ministry of Finance and Economy” with “Ministry of Finance of the Governorates” and replaced “Kurdistan Region Board of Audit” with “Governorates Board of Audit”. All these changes to official names of the Kurdistan Region’s Institutions are in violation of the Iraqi Constitution, notably Article 117, Section (1) and Article 121, Section (1) that recognize the Kurdistan Region, with its authorities, as a federal Region with the right to exercise executive, legislative and judicial powers. The Iraqi Constitution clearly addresses the Kurdistan Region as a federal entity, not as Governorates or provinces. 2. Reducing the budget share of the Kurdistan Region, which occurs for the first time since 2005, from 17 percent to 12.6 percent is a breach of Article 121, Section (3) of the Iraqi Constitution that states, “Regions and governorates shall be allocated an equitable share of the national revenues sufficient to discharge their responsibilities … having regard to their resources, needs, and the percentage of their population”. Since an official census has never been conducted in Iraq, however, both Erbil and Baghdad agreed to estimate the population of the Kurdistan Region at 17 percent of the total population of Iraq. It is on this basis that a similar percentage of federal revenues has been allocated to the Kurdistan Region in fiscal years since 2005. Notably, however, the Kurdistan Region has never been provided the full 17 percent due to the budgetary process of first deducting federal sovereign expenditure from national revenue before appropriating the 17 percent amount for the Kurdistan Region and sharing the balance with the region and governorates. The loss to the Kurdistan Region has been exacerbated by markedly major annual increases in federal sovereign expenditures. Without KRG participation in the allocation and spending of these expenditures, or even receiving a fair share of them, in the 2018 draft bill, an amount of 43 trillion and 110 billion Iraqi dinars have been allocated only for sovereign expenditures, constituting 39 percent of the overall Iraqi budget. After deducting sovereign expenditures, Kurdistan Region’s share is reduced to 6.3 percent. Reducing the Kurdistan Region’s budget share was decided outside the joint agreement and, thus, has no constitutional basis. 3. 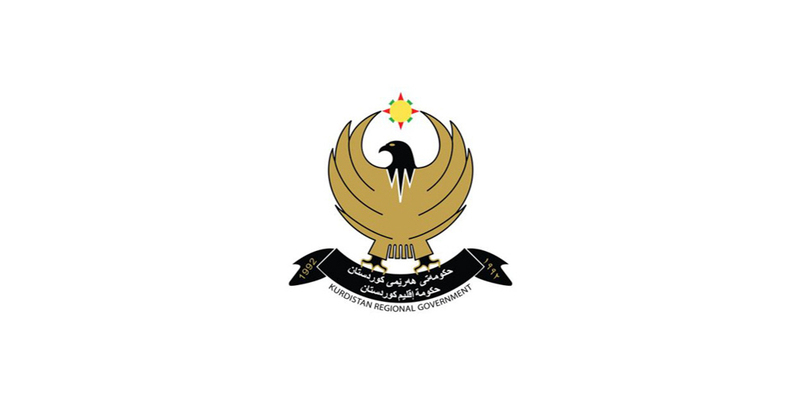 Granting direct authorities to the governorates of the Kurdistan Region in the federal 2018 Budget Draft Bill and dealing with these governorates as “governorates,” not as a “Region,” only indicates the federal government’s efforts to unconstitutionally abolish the entity of the Kurdistan Region; an effort that will not, in practical terms, benefit the people of the Region. Additionally, the bill ignores recognizing the Governorate of Halabja in the Kurdistan Region. All these are violations of Article 117, Section (1) and Article 121, Section (1) of the Iraqi Constitution. Dealing with the Kurdistan Region as “governorates,” not as a constitutionally recognized “Region,” is a clear violation of the Iraqi Constitution. 4. Article 126, Section (4) of the Iraqi Constitution prohibits federal authorities from limiting or reducing the powers of the Kurdistan Region. The Constitution clearly does not allow any amendment of the Constitution that results in the reduction of the powers of the Kurdistan Region. Despite these constitutional violations and despite the KRG Council of Minister’s welcoming of Iraqi Prime Minister Haider Al-Abadi’s initiative to provide funds for salaries civil servants in the Kurdistan Region, Table-C of the Draft Budget Bill’s attachments, which details the federal Public Sector Manpower numbers, the total number of the Kurdistan Region’s payroll beneficiaries is 682,021, unchanged from 2017 Budget Law. The Draft Law allocated only 206 billion Iraqi Dinars per month for their salaries and only 128 billion Iraqi Dinars for social welfare beneficiaries (pensioners, families of the Martyrs and Victims of Anfal, handicapped, Special Needs, and other relevant categories), a total of 334 billion Iraqi Dinars. In reality, the Kurdistan Region has 1,249,481 citizens on its payroll from all categories, and the total amount needed for their salaries is 897 billion and 500 million Iraqi Dinars. Notably, according to the Draft Federal Budget of 2018, the number of Kurdistan Region’s payroll beneficiaries has not changed from 2017, yet compared with 2017, an amount of 1 trillion and 321 billion Iraqi Dinars has been deducted from the Kurdistan Region allocated budget without mentioning the reasons for such deduction. Once again, we call upon the federal Iraqi Council of Ministers to pave the way for negotiations with the Kurdistan Regional Government in order to redraft the proposed federal 2018 Budget Bill on a constitutional basis, in order for the Kurdistan Region to receive its fair share of national revenue, and remove all breaches and violations that are against the interests of the Kurdistan Region and foundations of partnership and coexistence in Iraq. Such massive cuts in the Kurdistan Region’s share of national revenue can only be viewed as mass punishment of the people of Kurdistan Region.